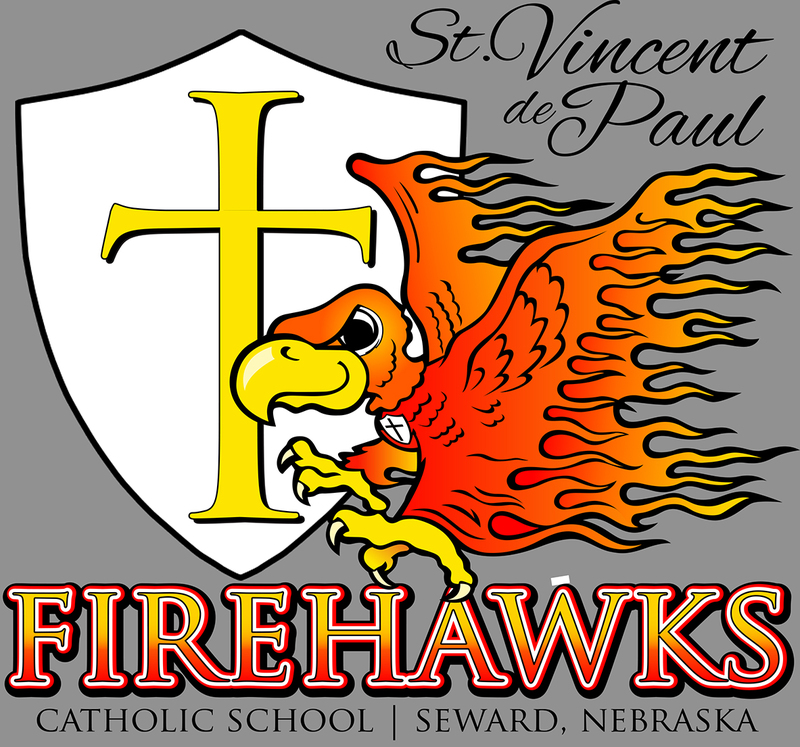 Bishop Fabian W. Bruskewitz as Bishop of Lincoln, in collaboration with Father Bradley Zitek and generous parishioners, established St. Vincent de Paul School in Seward, NE in 2001. The opening school day was August 16, 2001, with 35 students. Mrs. Janet Bohaty was the head teacher, with four lay teachers, a secretary and one support staff. The School Sisters of Christ the King provided part- time Sisters to help the administration and teach Religion classes one day a week. Originally the school accommodated students in preschool through third grade. The following year, fourth grade was added and fifth grade was added in the 2015-2016 school year. St. Vincent de Paul Parish has been growing for over a century. Even before the establishment of the first church in 1878, historians record that in 1872 Seward was a mission from one of the parishes in Lincoln (then called Salt Creek) with Father William Kelly as pastor. The village of Seward had been established only four years earlier. The Lincoln diocese was formed in 1887 with Bishop Thomas Bonacum as the first Bishop.Several priests continued shepherding the Seward mission until 1876 when Father William Byrne and his assistant, Father John Lee, assumed responsibility. It was under the direction of Father Byrne that plans got underway for Seward’s first Catholic church to be located on three lots on the corner of Seward and Third Streets. The reason for choosing St. Vincent as patron of the little Seward church in 1878 is unknown. Several saints with this name have lived; no one is sure who of them was intended. Finally, in the early 1960’s, Father Petrus selected St. Vincent de Paul for the sake of preciseness. The new parish grew quickly. Additions to the church were added in 1910 under Father F. A. O’Brien and again in 1913 under Father George Agius. Milford became a mission of Seward in 1944. In 1949, under the direction of Father Joseph Kenney, the church was cut in half and “stretched” to cover an enlarged foundation. The new basement gave the parish its first social hall. The parish had 45 families with 175 members and in 1930 had grown to 153 families with 535 members by 1950. The cost of improvements made between 1943 and 1950 was $30,000.00. Succeeding pastors included Fathers Raymond Hain, Edward Kolar, Edward Orzechowski, Rawley Meyers, Walter Potocki, Frank J. Leiblinger, and Gregory Petrus. Even though the enlargement of the church doubled the seating capacity, the need was still there for even more room, and our growing parish continued to move toward a major building project. In 1962, under the direction of Father Gregory Petrus, 20 acres of land at 2nd and Pinewood were purchased for a new church, social hall, and rectory. Ground breaking ceremonies were held on March 19, 1972, and construction began on April 1 under Father Clarence Reisdorff’s direction. Through careful investments and generous donations, the building was totally paid for ($542,448.00) by the time of its official dedication on October 7, 1973. The new church was built following the theme “Sermon on the Mount” with the style of building and stained glass windows depicting the eight beatitudes. As the parish and related activities continued to expand, an addition of three classrooms and office space was completed in 1978 at a cost of $98,000.00. In 1989, Father Reisdorff retired leaving a growing church to Monsignor Thomas Olmsted. Msgr. Olmsted organized the RCIA (Rite of Christian Initiation of Adults) and the very successful Godparent Program for our high school youth. Father James Benton became our parish priest in 1993 and directed the building project which included expansion of the sanctuary, a social hall and additional classrooms at a cost of $1,479,277.00. This is our church proper as it exists today. In 2001, Father Brad Zitek was spiritual leader of 550 families with 1485 members. With the grace and blessings of God, our parish family continues to grow and thrive. With the dawn of the new century, the St. Vincent de Paul church embarked on a new facet of religious life. In the fall of 2001, under the spiritual direction of Father Zitek, a Kindergarten through third grade religious school opened its doors.